Download and try the high-end DAW Samplitude Pro X Suite for free. for musicians, sound designers and producers. Samplitude Pro X Suite contains exclusive audio cleaning features, virtual instruments and mastering tools in line with current industry standards. Experience an absolutely sound neutral audio engine and bring all your musical ideas to life in the best possible quality. Produce music, record in the highest audio quality and design, modify and restore sounds with creative plug-ins. 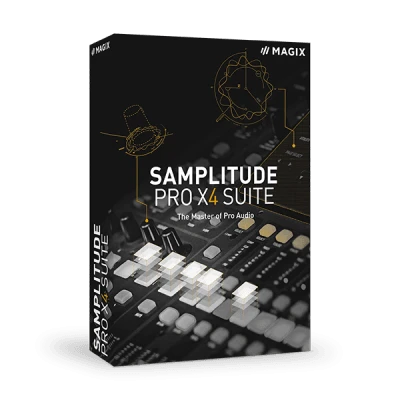 Try Samplitude Pro X Suite now for free. The virtual instruments and the 70 GB Sound Library in the Sampler Workstation provide an intuitive method for turning creative ideas into professional reality. High-definition mastering plug-ins meet intuitive workflows and helpful tools such as the True Peak Limiter, which prevents analog outputs from clipping and becoming distorted.